Originally a Mexican company, Kidzania has been in family entertainment centres since 1999. It's unique in its idea of creating a mini Kidzania world in which children run the town! With over 80 jobs for kids to try out like journalists, doctors, pilots, and dentists (with kid-friendly versions of the real equipment) it's all incredibly realistic. Kids between the years of four to 15 years old can take part. They earn 'Kidzos' money and can even open their own bank account at Kidzania, which can be used to buy souvenirs and gifts. Through this simulation of a town, kids get to experience work life and the real world first-hand. But the best news is that parents aren't allowed to take part or interfere. They can leave their kids at Kidzania under watchful eyes and enjoy their afternoon all by themselves. Started in Pattaya as an interactive attraction, Art in Paradise is located in Bangkok's Esplanade Shopping Mall. Understandably, it is called Trickeye or 3D Museum by locals. It spans two floors and many large rooms of well-executed paintings, depicting scenes like 'ride a flying carpet' or 'stairway to hell' that is impressive and sometimes, overwhelming, serving as a great place to visit in Bangkok with yout family and kids. The space has been maximised for the best background scenes, using both floors and walls, with a glossy varnish that occasionally causes glaring reflections. With the right pose and camerawork, you'll have an amazingly realistic picture each time. There are markers with arrows to recommend the best angles, and along the sides, you'll find pictures by previous visitors to give you an idea. And if none of this works, the photos are bound to be hilarious at least. Bangkok has not one but two amazing destinations to go ice skating. Ice Planet, spanning 1900 square metres of space at Siam Discovery Centre, has an Olympic-sized rink. They also have a skating school and lounge. You get to play on the ice for 90 minutes with skates and locker rental fees included in the package. 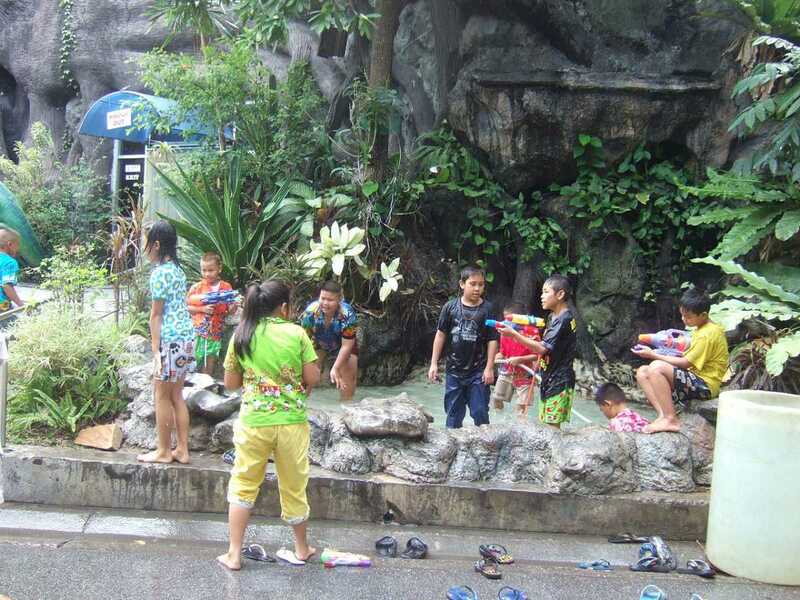 It's a fun activity and a great place to visit in bangkok with your kids. At Lazgam Laser Games Bangkok in the Holiday Inn Sukhumvit, you'll get to enjoy laser tag at its best: playing with your family in Bangkok! Each game lasts 15 minutes and you'll need to navigate through the maze of walls and obstacles. Games can vary between team play, solo play, or a fun Alien Invasion in which one player (the Alien) hunts down the others and each person shot becomes an alien. Laser tag can be played by anyone above the age of seven, and all it requires is a vest, a laser gun, and a good burst of energy. At the end of the game, you can get all the information regarding the number of people you hit, the number of people who hit you, and so on. Incredibly fast paced and strategic, we dare say it's difficult to stop at just one game of laser tag! 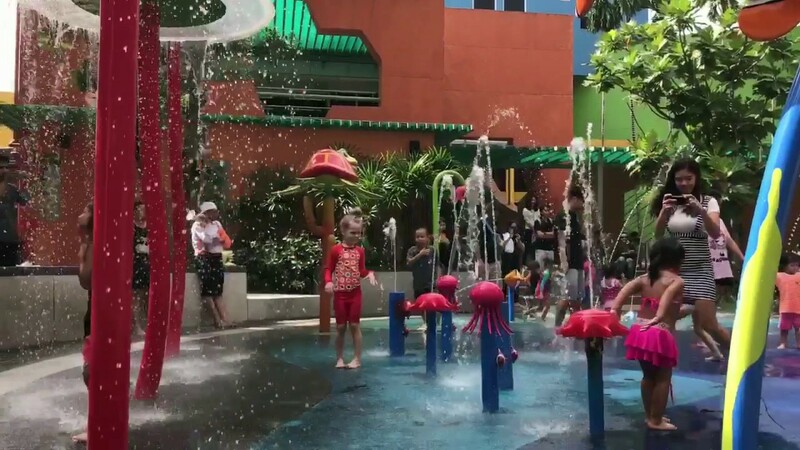 Although Funarium might look like a warehouse from outside, it's a fantastic place to visit in Bangkok with your family for fun and play inside. Spanning 2,000 square metres of activities, the entire space is air-conditioned and child-proofed. They have a climbing structure, a baking station, arts and crafts centre, and even a sand area for all kinds of fun. It's recommended for children below the age of 10 who will enjoy the mini slide, soft blocks, songs and dances, and even a ball pool. Older children might be more interested in their large climbing structure that is two storeys high, including secret passageways, trampoline, and speed slice. Funarium has a basketball court, skating rink, and cafe as well. Parents can enjoy the parent's room with cosy chairs, television, drinks and magazines. The Children's Discovery Museum Bangkok can be found north of the famous Chatuchak Market. It uses interactive displays where children can participate in the learning process, ask questions, and touch everything for better understanding. The Science Gallery has fun tasks like creating your own bubble or understanding illusions through a mirror tunnel. In the Life section, you can ride a cycle and see the different in human kinetic processes. In the Archaeological site, you can dig up 'dinosaur' bones. The museum is nothing short of impressive, and it has only improved since its renovation in 2014, making it a good place to visit in Bangkok with your kids and family. It includes a fountain area to keep warm during hot days, although most of the museum is indoors with air-conditioning. We'd recommend you carry a towel and change of clothes if your kids enjoy jumping into fountains to play and cool off. Mansion 7 is a 'haunted' theme mall in Ratchadapisek Road, known to be dark, creepy and amazingly bizarre. It has fun shops and restaurants, a 'Neglected Garden', a playground lit by a blood moon, and so on. Every once in a while, you're bound to hear shrieks from those shoppers still 'trapped' in the mall. Spending some time at this place in Bangkok with your family is quite entertaining. They've incorporated their dark theme into all aspects, like their food (black Pad Thai, black noodle salad, blood Papaya salad), cocktails (Russian Roulette, Chinese Poker) and each store's decor. According to legend, Mansion 7 has been haunted by the owner's daughter, on whom he conducted experiments to bring back to life. 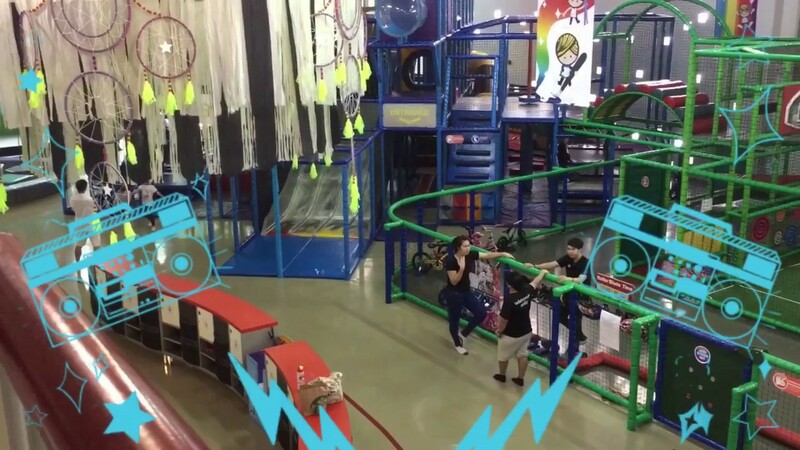 For children above the age of 8, this mall is like a haunted house come to life! Named after Lord Buddha's birthplace in Nepal, Lumpini Park is more than 500,000 square metres, located in the heart of the city of Bangkok. It was created in the 1920's as an exhibition centre for flower displays, but today, it is an outdoor leisure space for the locals. It isn't uncommon to see joggers on the running track and light workouts and aerobics on its gym equipment. Paddleboats and rowboats are available at the park's lake. There's a basketball court to shoot some hoops, and in the evenings, local musicians perform. Lumpini Park is the perfect place to visit in Bangkok with your family as there is something for everyone to do. Kids will enjoy the jungle-gym and swings, and parents can lay back and enjoy the shady dens. To satisfy those grumbling tummies, head over to the food vendors outside the gate selling local cuisines or check out the weekend market selling fresh fruits, seafood, and Chinese delicacies. Wouldn't you love to spend an afternoon with a real-life pilot, teaching you the tools of the trade? With Flight Experience Bangkok in Gateway Ekamai Mall, you can do exactly that! The simulator follows the exact specifications of a real airplane and the staff is dressed like your crew. The cockpit is the same size of a Boeing 737-800NG and the set-up is said to be more advanced than the simulator used by budding pilots. The instructor gives you a briefing, takes you through the set-up, and then watches your progress as you try to fly the plane. There are more than 25,000 airports to choose from, and though the simulator is fixed, it feels very realistic. They have added weather conditions like rain and snow to make the experience even more authentic. Your kids are bound to love this experience. Cost: THB 4,500 for a half hour package. Yes, you read that right ? you can find snow in Bangkok! At Snow Town in Gateway Ekkamai Shopping Mall, there's an indoor village and play area covered in artificial snow. The slopes offer changes for sleighing and skiing, the main streets encourage exploration, and there are even playgrounds and restaurants to hang out. In Snow Town, the weather is always 15 degrees celcius which is a great break from Bangkok's relentless heat. The snow machine is constantly running, ensuring mounds of snow to leap into! Admittedly, the experience might get boring for children under the age of 8 who won't enjoy the basic playground. With the growing trend of trampoline parks across the world, it's no surprise that Bangkok isn't far behind. Bounce Inc. is a huge space with trampolines on the walls and floors for you to bring out your inner ninja. With almost 6,000 square metres of space, you're encouraged to jump, leap, roll and explore all its nooks and crannies. For families worried about injuries, there are crash mats, other padding, and watchful staff to avoid any kind of harm. Trampolining is an incredible workout that uses your legs, arms, and torso, and you won't even realize that your session flew by! Sometimes, Bounce Inc. houses DJ's and music to boost the trampolining experience. They have a climbing area of over 24 walls and frames to test your skills. There's nothing like an aerial view of the city to cap off an amazing trip in Bangkok! At the Asiatique Sky Ferris Wheel, you'll get an amazing view of the city and the riverfront from the comfy, air-conditioned cabins. And don't worry, it isn't a quick experience ? you'll get to take in the sights and enjoy 3 full rotations (around 15-20 minutes) at over 120 feet in the air. When you're done, you and your family can enjoy an evening at the Riverfront, an open-air mall with restaurants, shops, and live performances. The Muay Thai Live performance takes place from 8:00 PM to 9:15 PM every day except Mondays and has become very popular. You'll get to watch an exhibition of skill and aglity with this martial art, combined with light and sound displays. Madame Tussauds is now a household name for its realistic wax figures, and the Bangkok Madame Tussauds is no exception. Located in Siam Discovery Centre, this museum ups the ante for wax museums by making the exhibits interactive. At this place in Bangkok, your family and you can appear on the Oprah Show, fight with Bruce Lee, or sling an arm around Tom Cruise. The figurines span generations, taking you across history from Pablo Picasso to Thai pathologist Dr. Porntip Rojanasunan, Dalai Lama, and even the Obamas. Most uniquely, the museum's Roual Room allows you to see with His Royal Highness Mahitala Thibed Adulyadej and Her Royal Highness Princess Srinagarindra, the late parents of the incumbent king although you are not allowed to touch the wax figures. There's a ton of pop-culture figures like Will Smith, Julia Roberts, Johnny Depp, and the like. Each figure has been expertly crafted with fine attention to detail - it's believed that each figure takes three to six months to be finished. Before you leave, you can check out the souvenir boutique for fun memorabilia. From dinosaur parks and laser games to zoos and to theme parks, there's a bunch of places to visit in Bangkok with the family, and are bound to excite every child and guarantee a memorable, hassle-free family vacation for all!